Our no-obligation practice tests are open to all students. For students who are just starting to think about test prep, or students whose test date is around the corner, taking a full-length practice test is essential. Taking an actual full-length test with all sections is the best way to gear up for test day. Sit for a practice test to get first hand experience with an actual test and see how you score. Receive a diagnostic breakdown of your test results. Once you've leaned the strategies and have basic test content under control, the most effective way to improve scores is through consistent practice. With a testing time of over three hours, it's important to build up stamina before sitting for the actual test. It's very different to practice a few short sections at a time than to sit for almost four hours of testing. We use tests that have been published by The College Board and ACT, so students are taking actual tests. Any other tests can be quite different from the real test. Using only real tests ensures that students have valid and reliable indicators of future performance. 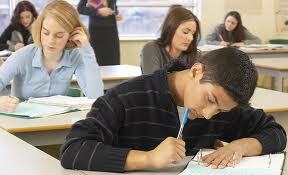 Our mock tests are administered in a test-like setting – a proctored classroom with other students. Students with extended time or other accommodations will take the test under those guidelines so their experience will mimic the actual test. Tests are given year-long on Saturday and Sunday mornings at 9:00 am. Tests are held at the Prime Academics office, 410 Lancaster Avenue in Haverford. Pre-registration and proctoring fee of $45 are due prior to test day.